The co-called Ice-battle happened in 1242 between the Russian troops of Prince Alexander Nevsky and joined forces of the Teutonic and Livonian knights on the ice of the Chudskoe Lake. Though now there are many very different versions of those events. It seems very possible that the real events differed much from the pictures shown in the well-known movie "Alexander Nevsky". 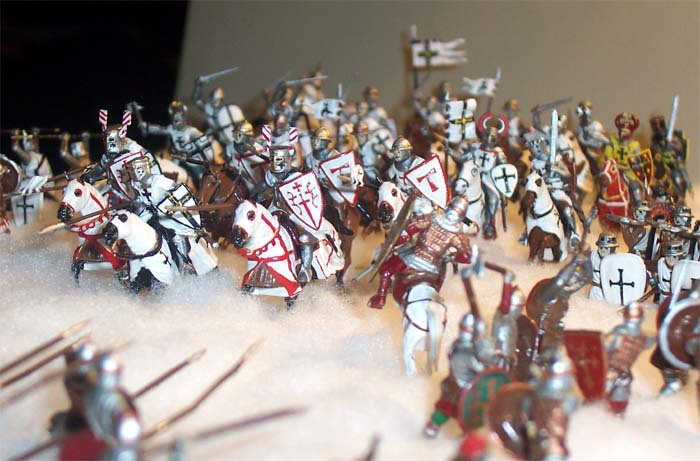 So let it be just a battle between Russians and Teutonic and Livonian knights.